Déraciné’s narrative is delivered in fragments. While the story follows a linear path, a fair amount of the game is spent jumping between specific days in hopes that you can thwart tragic events from happening to the school children. 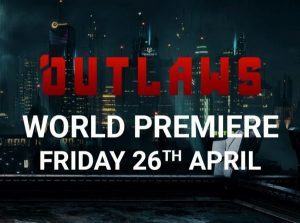 The delivery of this narrative is very much FromSoftware-esque. The game is broken up into chapters, or epochs. You must unearth all the details in order to piece together what you do next. You learn shortly after beginning Déraciné that you are a Faerie. A young student at the school, named Yulija, summons you in hopes that you will protect the student body. From here, you explore the school as you try to keep the students safe from other, evil Faeries. For the most part, this general formula works well enough to reach the end of the game. Occasionally, however, an epoch will only leave you incredibly vague instructions. 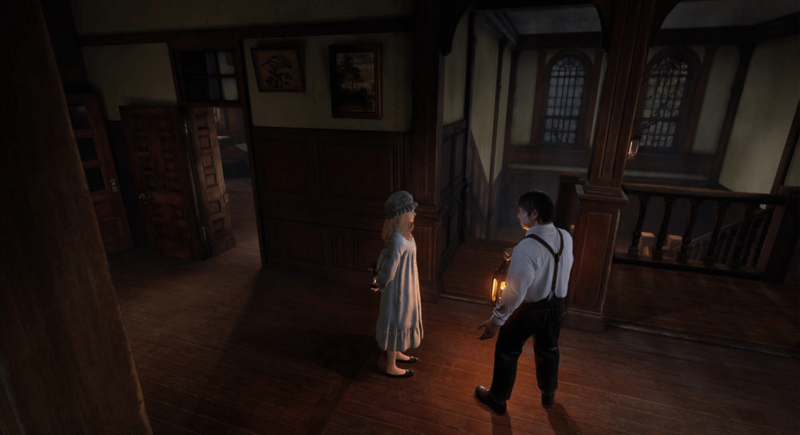 These occur more toward the beginning of the game, however, while you are also spending time wrapping your head around the teleport controls and feeling out the general formula of Déraciné. The ending leaves a lot to be desired. Many suspenseful moments keep you driving forward, even if you are not quite sure what is happening or why. It is in this very point that I hold my biggest gripe. A lot of questions are asked simply because the narrative is delivered in fragments. This could have been a more straightforward narrative with a more pinpoint delivery, but I doubt that would have been for the better. Much of the game’s charm comes from the fragmented storytelling. However, unlike Dark Souls, the information Déraciné tries to convey is not subtext or backstory. This information pertains to the here and now. While interpretation adds some flair and depth, the whys and hows become too cloudy to really put an anchor on the game’s ideas. The controls were challenging for me to wrap my head around. 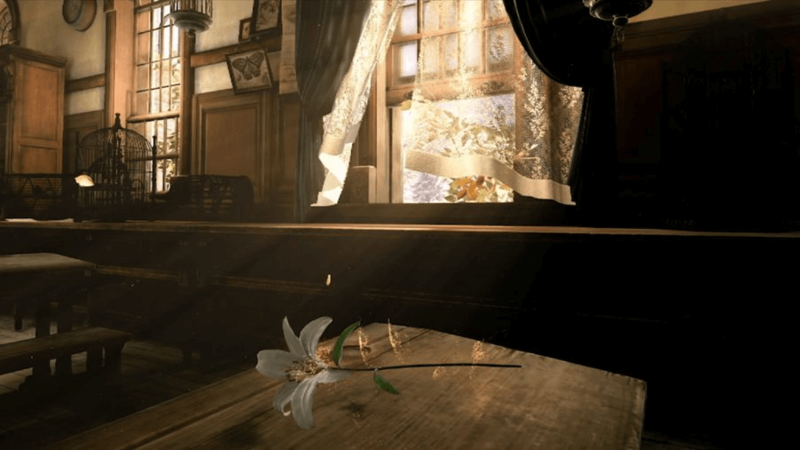 For the first couple chapters, Déraciné details how both of the Motion Controllers are to be used. The left one controls time through a pocket watch, allowing you to interact with the world in stop motion as well as jump through time when the narrative calls for it. The right one controls a ring that can absorb and distribute life energy between entities, which also only occurs when the game allows it. Face buttons control both using your powers and inventory. Much like your powers, items can be picked up, but not everything can be taken with you. In this case, for me, having this kind of forced linearity benefited the game as a whole. Picking up certain keys for locked doors, for instance, can be taken with you throughout the school. Other times, you transfer a flower from a child’s left hand to their right. Interpreting which items were necessary in such a vague story helped progression as a whole. Face buttons also control changing direction. You can move your head around, of course, but Square and X move you left and right in a kind of Myst-like way. I spent a great deal of time hitting these buttons, especially early on as I learned about the school. The greater time in the game is spent learning how the game plays, making for a slog in the first few chapters. Only doing minor pranks on students helps very little either, as there is little to hook you in the beginning beats of the game. 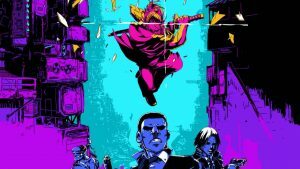 Once the story heated up, I found myself pushing ever forward, even with the cumbersome controls and weak narrative beats. Early on, the game hints at you having a ton of power over the world around you, considering you can control time and life energy. However, those powers are very much controlled, only being allowed when the story calls for them. When they are allowed, they feel quite cool. Outside of those moments, though, you are stuck trying to queue narrative beats for the next event to unlock. I understand the use of teleportation controls here. They allow for a much more linear experience and help direct you from point to point without having to spend more time trying to figure out what you can interact with or not. At the same time, a ton of heart went into constructing this environment. So having little interaction with this world leaves a rather bitter aftertaste. You spend a lot of time running back and forth in the school as you learn its layout. 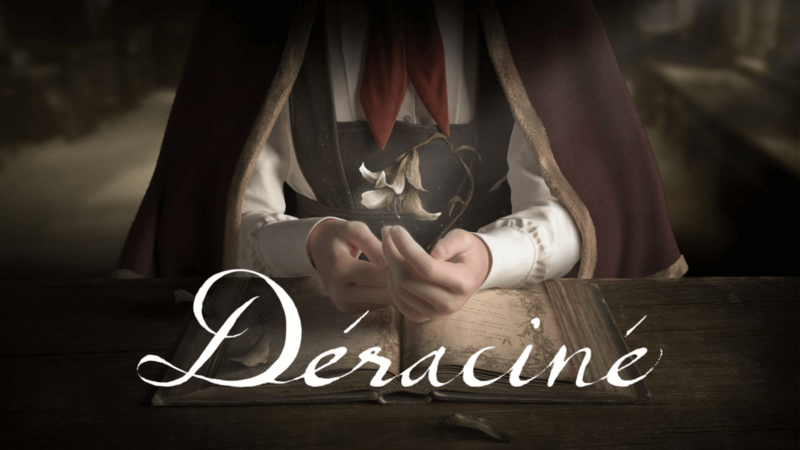 Much like the game as a whole, Déraciné has a lot of potential. However, so many decisions that went into the final product cheapened the experience. The narrative is linear and often cumbersome, your powers are isolated only to narrative beats, and controls require a great deal of input. A few changes in delivery and intent would have made a world of difference on the final product. I would not recommend Déraciné for everyone, as it lacks a universal means of conveyance. However, I think it has a place for anyone curious to delve into a FromSoftware-specific story. Déraciné lacks a certain impact, but it has a very interesting way of delivering what it has to say. Their first game on VR. Im sure the next will be great in every aspect.